Our range of products include single piston reciprocating pumps. WASP combines manufacturing expertise and understanding of applications to provide a Single Piston Reciprocating Pumps with strength and versatility for any demanding high pressure job. 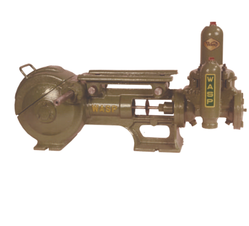 WASP Pumps are manufactured in technical collaboration with FE Myers, U.S.A., one of the leading manufacturers of high quality pumps in the world and pioneers in high pressure pumping. At WASP we know your need and we deliver. Looking for Reciprocating Pumps ?